Researchers are making important discoveries about Alzheimer’s disease from people who develop it before the age of 65. 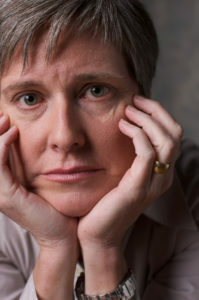 At just 53 years old, Elizabeth [McGuff] was diagnosed with young-onset Alzheimer’s disease. “I [her son, Mike] was in total shock. She was so young. I could never imagine someone getting Alzheimer’s at 53. In fact, I don’t think I even knew such a thing was possible.” She died from complications related to the disease five years later.Alzheimer’s is not just a disease of old age. About 200,000 of the 5.7 million people with the disease have the young-onset form, meaning they were diagnosed before age 65, according to the Alzheimer’s Association. Many people are in their forties and fifties with dependent children and booming careers when the disease strikes. As it does with age-related Alzheimer’s disease, the young-onset form also impacts memory, thinking, behavior, and, in later stages, daily activities and functions. Young-onset Alzheimer’s disease has a strong genetic component. So far, researchers have linked the condition to mutations in one of three genes: APP, PSEN1, or PSEN2, which account for about 10 percent of all young-onset cases. When any of these genes is altered, the brain produces large amounts of amyloid beta peptide, a toxic protein fragment that clumps together to form amyloid plaques, a key marker of the disease, says Richard Sherva, PhD, research assistant professor at Boston University School of Medicine. These clusters bind themselves to receptors on nerve cells, triggering a process that erodes their synapses with other nerve cells, says Dr. Sherva. "Good Luck with your three presentations [Episcopal Health Ministries National Conference]. I'm sure you'll do a great job especially when they see your knowledge, experience and caring professionalism. Keep smiling and putting your best foot forward so that more people can be helped."